Why use our Run Lab service? There are many factors associated with endurance performance that can be measured and improved. Over the course of a 2-hour consultation we can measure your physiological fitness, strength and power, and analyze your running technique. You and your coach can then work together on any issues that may be hindering your performance or contributing to injury, and enhance your training program. What is our Run Lab service? 1. 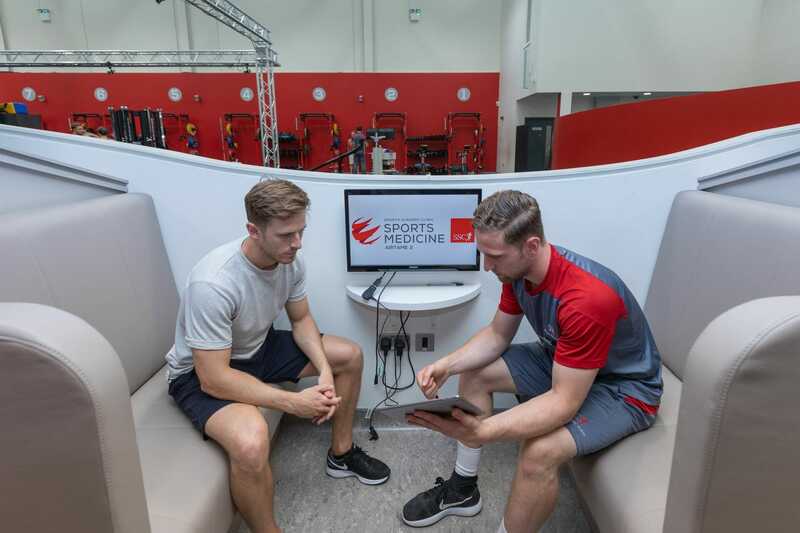 Initial consultation – You will meet a strength and conditioning coach who will talk to you about your training background and performance goals. 2. 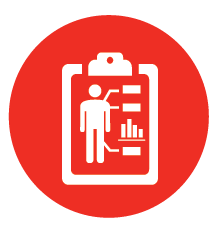 Anthropometric assessment – We will measure your body mass and height. 3. Movement screen – This will measure your lower limb range of motion, as well as your single leg stability. 4. Strength-Power profile test – You will undergo 3 tests on our dual force plates that will measure your explosive strength qualities. This includes a double leg countermovement jump, a single leg countermovement jump and a double leg and single leg drop jump. This will give us measures of your ability to express and absorb force, the maximum power you can produce, your ability to rebound off the ground and any asymmetries between your left and right limb. 5. Sub-max physiological test – This test will be performed on a treadmill where your running economy and lactate threshold will be measured. We can also measure your VO2max if requested. 6. 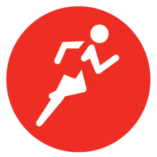 Running gait assessment – While you are performing the sub-max test we will also carry out video analysis of your running technique while you are running at speeds close to your race pace and under fatigue. We will assess your stride length, cadence, posture and ground contact time. 7. 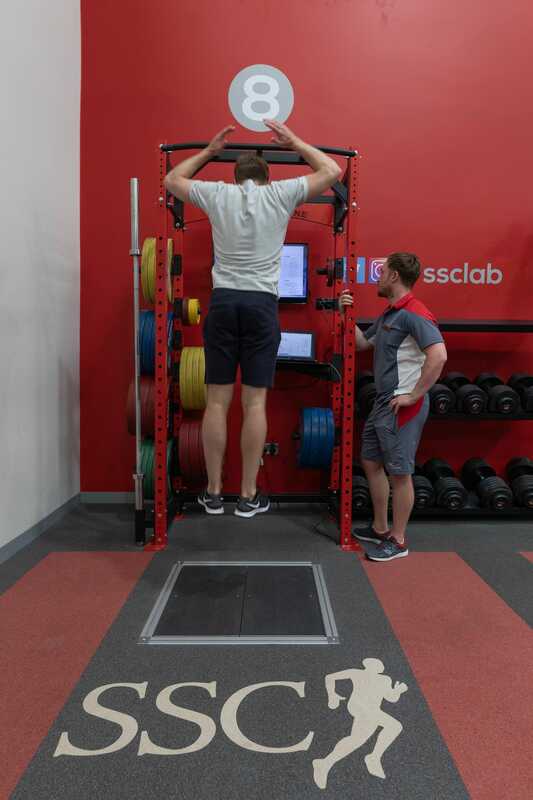 Training session – Following your testing you will have an opportunity to do a short gym session on one of our weightlifting platforms where our strength and conditioning coach can assess your lifting technique and advise you on what exercises are most appropriate to you. 8. Athlete report – At the end of the consultation you will receive a comprehensive report on all the tests carried out and we will rank the areas of priority for you to work on. This will include how fast your training runs should be, whether you need to develop strength or power, address any asymmetries or improve your running technique. Anthropometric assessment- We will measure your height and body mass. The results of our physiological and power tests are scaled to your body mass. Good athletes can produce more power per kilogram of their body mass and also use less oxygen and energy per kilogram of body mass. Movement assessment – You will have your hip internal and external rotation measured as well as your ankle dorsiflexion. An optimal level of mobility is required to move efficiently and reduce the risk of injury. We will also measure your single leg stability during a single leg squat. 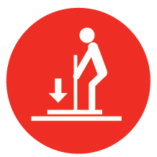 Countermovement jump – This test will be carried out both double leg and single leg. You will be asked to step onto the force plate and briefly stand tall and still. You will then be asked to perform a fast squat and jump as high as you can off the force plates. 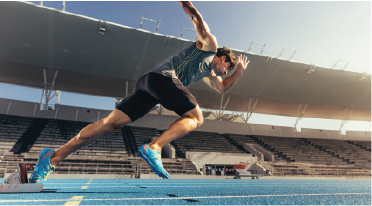 This test measures your power output and how much force you can produce, how quickly you can produce force and if there is any difference between your right and left leg. With this information we can tell you whether your strength and conditioning program needs to prioritise developing strength, power or speed depending on the time of season. Drop jump – You will also do this test double leg and single leg. In this test you will stand on the edge of a 20cm box before stepping off and quickly rebounding off the force plate jumping as high as you can. This measures your reactive strength which is a measure of high how you can jump from a rebound with the shortest time on the ground. It is a good measure of ankle function and how good your Achilles tendon is at storing and re-using elastic energy as it stretches and shortens, and if there are any asymmetries between left and right leg. Runners with good running economy and superior performance tend to have good reactive strength. 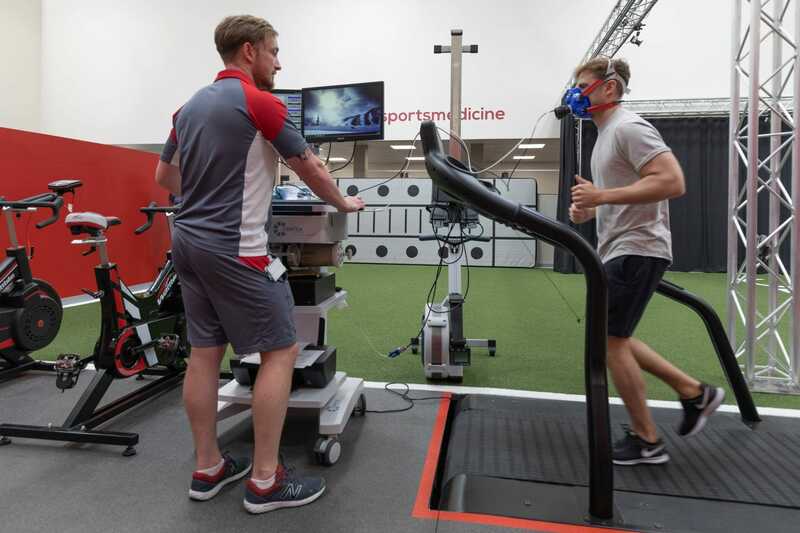 Sub-max physiological test – This test involves running 5 x 6 minute stages at incremental speeds on the treadmill to measure your lactate threshold and running economy. You will be wearing a mask that is connected to a breath-by-breath analyser that will measure how much oxygen you consume when you run at different speeds. After each 6 minute stage you will stop for 1 minute where we will take a finger prick blood sample to measure blood lactate levels you produce. The speed will increase by 1km/hour and the test will stop at the end of the stage with where your blood lactate levels increase by more than 2mmol. Lactate threshold will be determined by the speed before blood lactate levels increases by more than 0.5mmol. This will tell you how fast your aerobic endurance runs should be. Lactate turn-point will be determined by the speed where blood lactate levels increase the most or by more than 2mmol. This will tell you how fast your tempo runs and interval training runs should be. Running economy will be calculated over the final 60 sec of the stage of your lactate threshold where your oxygen consumption (VO2) is at a relative steady state. It will be expressed according to your speed attained and your current body weight (ml/kg/km). The lower this value is, the more efficient you are when you are running as you require less energy at certain speeds. Two runners with the same VO2 max can have a large difference in running economy. The runner with superior running economy will have a better performance over longer race distances as they require less oxygen and energy. VO2max can be measured by continuing the sub-max test on the treadmill where the speed will increase by 1km/hour every minute without stopping until you reach exhaustion and can no longer continue. Your VO2max will be calculated based on where your VO2 reaches a plateau for more than 30 seconds on the final stage. It will be expressed as the highest rate of oxygen consumption per minute according to your current body weight (ml/kg/min). We recommend that you arrive adequately fueled and in a nonfatigued state by not doing any strenuous training or races in the 48 hours beforehand. You should arrive with appropriate training gear for the various tests. You will be required to complete and sign a pre-exercise readiness questionnaire form at the beginning of the consultation. If you have any pre-existing medical condition you may be required to be reviewed by a sport and exercise medicine physician before partaking in the tests. 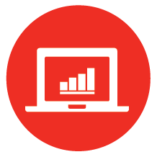 We aim to provide you with impartial and objective data of your performance measures that is supported by research. This removes any bias when you and your coach plan your training. With your Run Lab performance report, you will have a clear focus on areas of your performance that you can improve on. You can work with your coach or personal strength and conditioning coach or book an appointment with one of our strength and conditioning coaches for a personalized training program. Over the course of a season you can track your progress by booking a follow-up Run Lab consultation where you will be re-tested. Once you have improved some areas of performance, you can then focus on developing other areas. You will meet a strength and conditioning coach who will discuss your training background and performance goals before explaining the different tests over the 2 hour consultation. You will be measured for height and weight. Then you will have your ankle and hip mobility assessed, as well as your balance during a single leg squat. 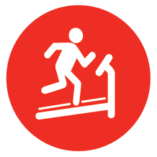 You will then perform a step test on the treadmill to measure your lactate threshold and running economy. These two variables are a good indicator of how efficient your aerobic energy system is. We will then be able to advise you on what zones you should train at for long runs and interval training. While you are performing the physiological test, we will carry out a gait assessment using video analysis. We will look at your posture, how you strike the ground and how you absorb impact and any asymmetries between left and right side. We can then advise if you would benefit from making some changes to your running technique to improve performance or reduce your risk of injury. You will receive a report in the form of a dashboard summary of all of your tests and highlight the areas where we feel you may benefit from focusing on in your training. This is something you can discuss with your coach. You will have an opportunity to train in our state of the art gym. We recommend that you book a follow-up appointment between 8 to 12 weeks later to review your progress. You can also book an appointment with one of our strength and conditioning coaches if you would like to avail of a strength training program.